Microsoft India has launched the budget-friendly ‘Lumia 550′ in the Indian market. 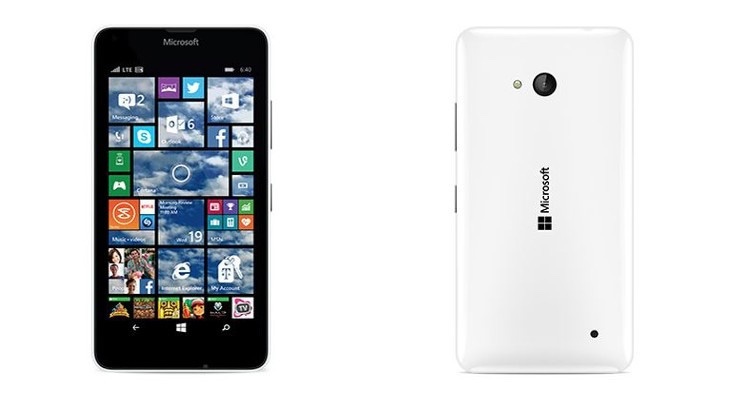 Lumia 550 will be going on sale, starting Wednesday in Glossy White and Matte Black variants. This Windows 10 Mobile displace phone is priced at Rs.9,399. The Lumia 550 is currently Microsoft’s cheapest smartphone running Windows 10 Mobile out-of-the-box. However, it will not support Windows 10 Continuum feature, which makes smart phones behave like computers with a desktop-style interface. * The Lumia 550 features a polycarbonate shell body. * It has a 4.7-inch HD IPS display with a 720×1280 pixels resolution. * It is powered by a 1.1GHz quad-core Qualcomm Snapdragon 210 processor coupled with Adreno 304 GPU. * It comes with a basic 1GB RAM. * The phone supports single Micro-SIM. * The handset measures 136.1×67.8×9.9mm. * It comes with 8GB of inbuilt storage which is further expandable via microSD card up to 200GB. * The handset is equipped with a 5-megapixel rear camera with HD video recording and a 2-megapixel front camera. * The Lumia 550 features 4G LTE connectivity and is claimed to support download speeds of up to 150Mbps and uploads of up to 50Mbps. * The phone uses a 2,100mAh battery which can deliver up to 28 days of standby time, 16 hours of talk time on 2G, 14 hours on 3G, and 17 hours on 4G.